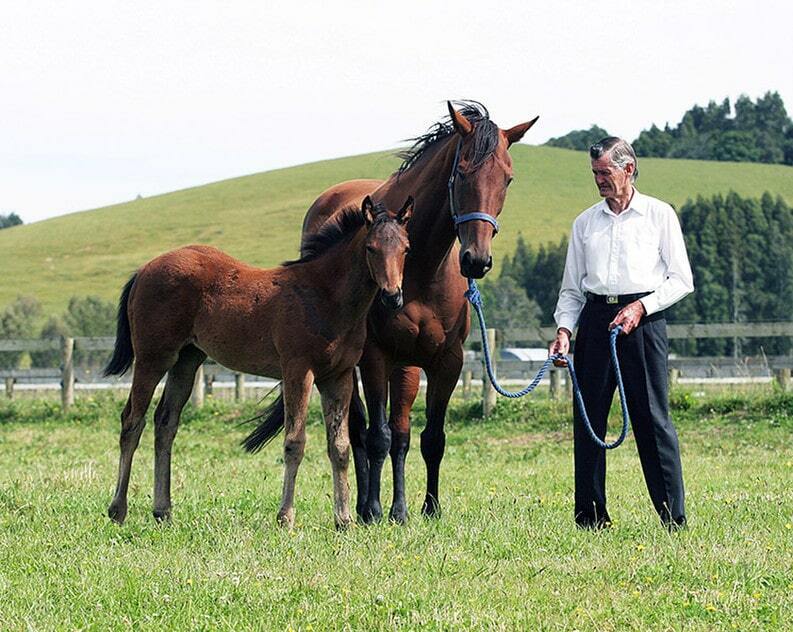 Legendary trainer Trevor McKee (ONZM) with champion mare Sunline and her foal. Former thoroughbred trainer Trevor McKee (ONZM) has passed away at the age of 81, triggering an outpouring of tributes for the much-loved member of the New Zealand racing fraternity. McKee shot to prominence as the co-trainer of champion mare Sunline, whom he prepared in partnership with his son Stephen and their mare made the pair a household name. Sunline was retired from racing in 2002 after winning 32 of her 48 starts and A$11.3 million in prizemoney, including two Gr.1 Cox Plates (2040m). McKee was known to be a seller of horses earlier in his career and said he was lucky that Sunline came along later in life. “Selling horses was just the way it had to be at that stage,” McKee told reporters in 2006. “To make a living you had to end up selling them off. Most of them were sold as two-year-olds and therefore you often had very few decent ones coming through. In addition to Sunline, other top stable performers include Solveig, Royal Tiara, Flying Luskin, Moonshine and Super Fiesta and McKee regularly campaigned horses in Australia with success. McKee retired from training in 2006, but continued to help Stephen and was a regular fixture at racecourses throughout New Zealand until suffering a stroke last year. McKee is survived by wife Noeleen and children Suzanne, Stephen and Donna.